Hey friends! Happy Saturday! 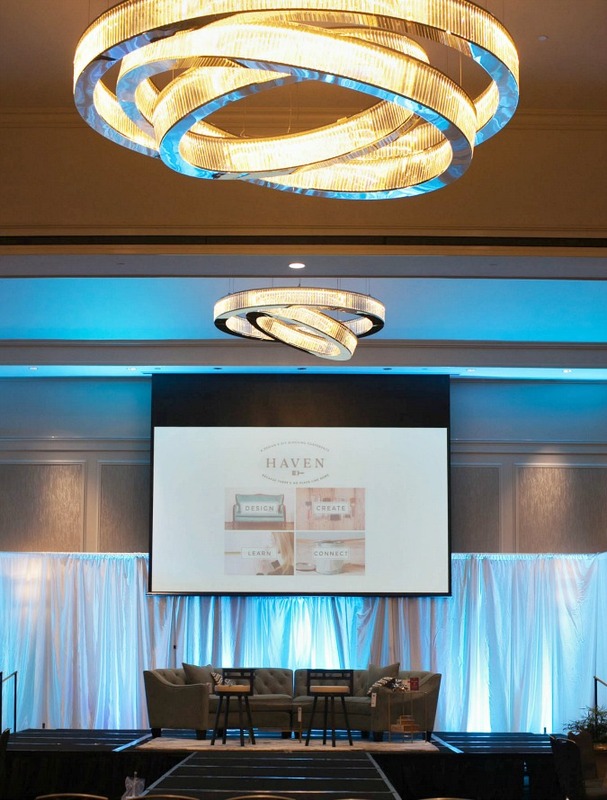 If you are a regular reader of this blog, you may have seen me mention that I attended the Haven Conference last weekend in Atlanta. 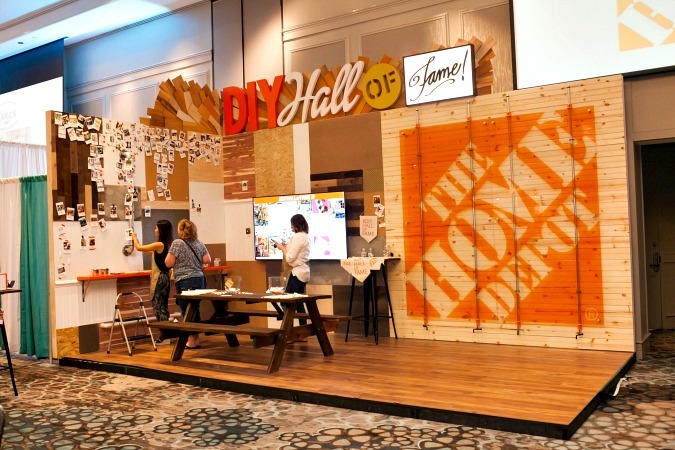 This is a conference for home decor and DIY bloggers. Today I would like to share some of the highlights and things I took away from the conference. It was my second year in attendance, and my experience this year was very different. You can read the post I wrote about last year’s conference here. I loved it last year, and I loved it this year as well. But this year when I left Haven, I had a great feeling, and I truly felt like I was finally starting to get a handle on this whole blogging thing. I felt like I was finally getting it, I am finally feeling like I know what I am doing and what I need to do. Does that make sense? It is a wonderful feeling, I can tell you that! Isn’t the giant map above just to die for? It was made by the lovely Jaime from the blog That’s My Letter. 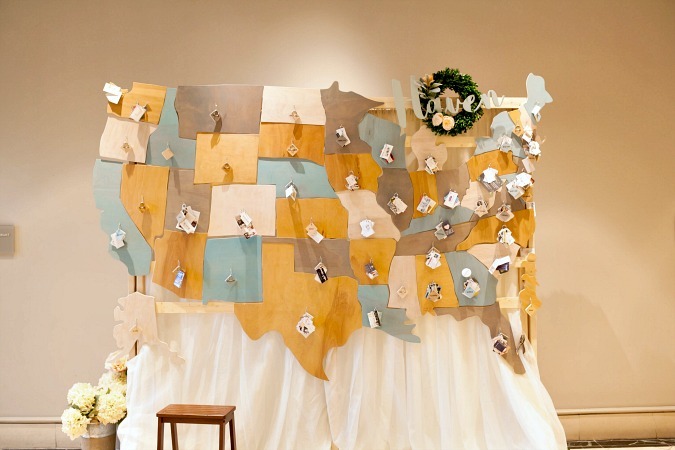 And the idea behind it was to help bloggers from each state connect with each other. All you had to do was attach your business card to your state. 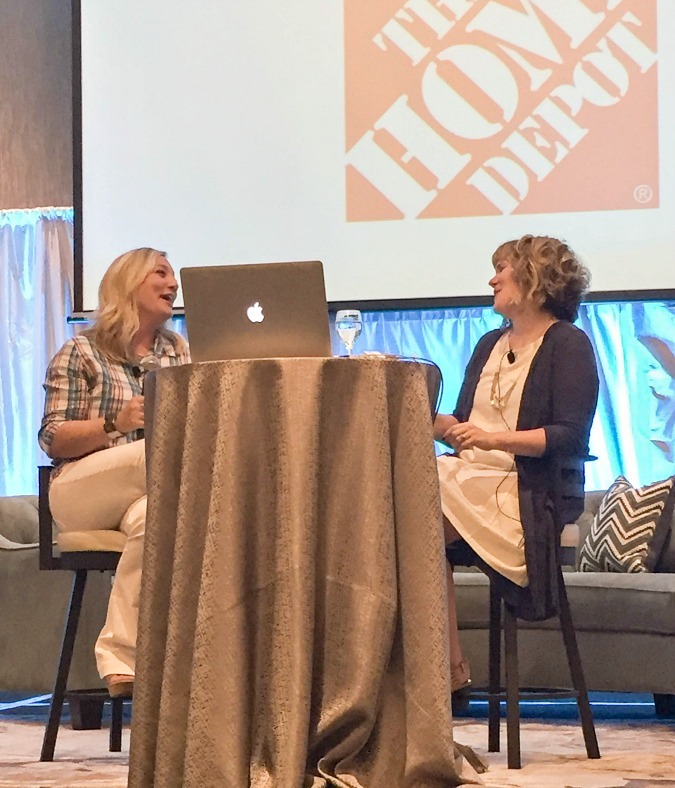 I actually met one other blogger from West Virgina, and I was thrilled, because I thought I was alone in this blogging niche! 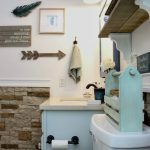 Her name is Leigh Anne from the blog Houseologie, and I was thrilled to have knowledge of her and she has a fantastic blog, so check it out! She lives in Charleston. 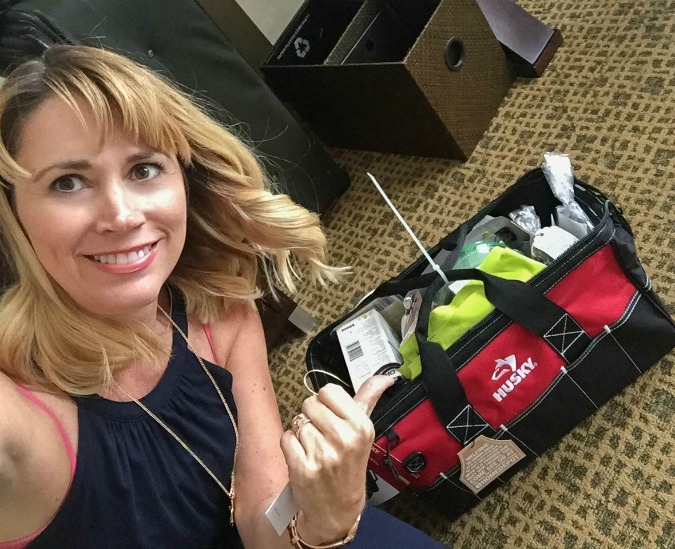 Haven has the best swag bags, and I got some great things from the awesome brands who sponsored the conference, and many of them I will eventually use on the blog. And it all came in this awesome Husky tool bag, which I was really excited about! We also got another great swag bag on Saturday night from the awesome people at Ryobi, and it was actually a backpack cooler, which will come in handy for tailgating and things like that. I flew out of Pittsburgh, and it was different from last year when the entire family went with me and we drove. But this year I had a roommate, so I went alone and met her there! 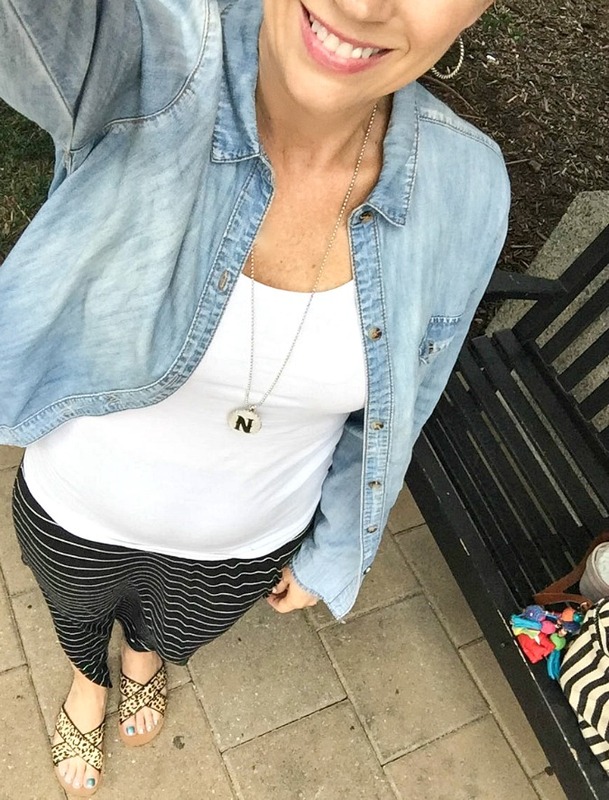 This was my travel attire for the day, and I wore this same outfit to register at Haven and to go to dinner with a group of friends I made last year at Haven and some new friends too. The conference started bright and early on Friday morning, and the opening part was such a thrill! And the Grand Hyatt in Buckhead where the conference takes place is a beautiful hotel. 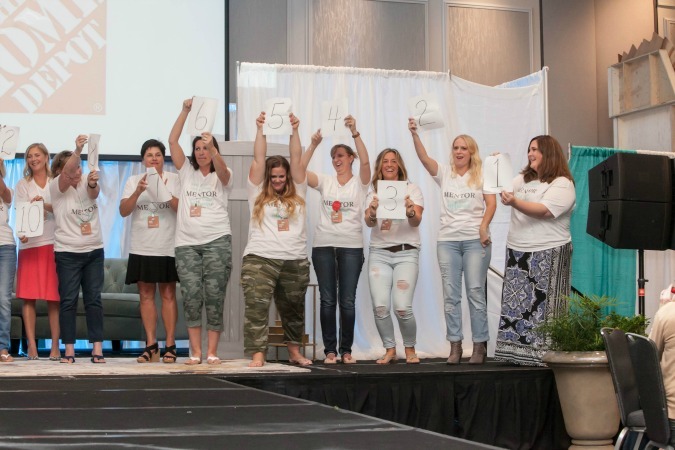 This year the keynote speakers were Marion from the blog Miss Mustard Seed and Shaunna from Perfectly Imperfect. 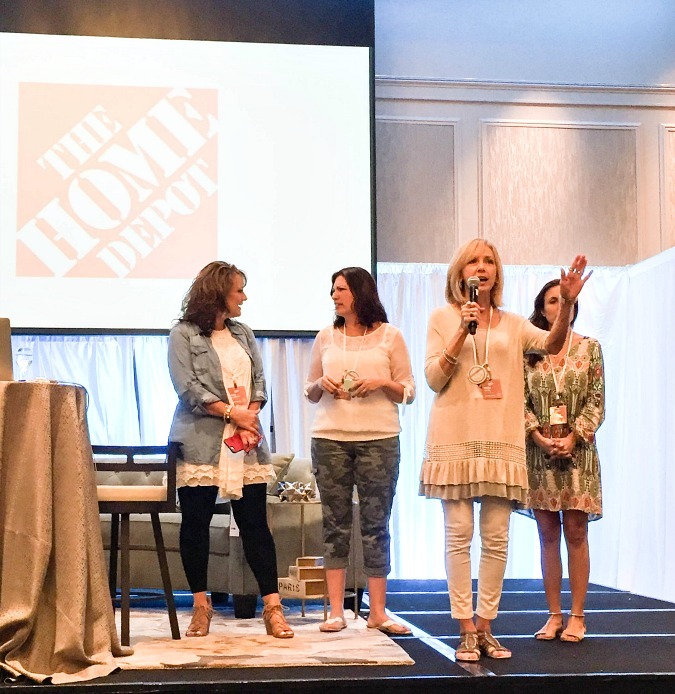 I have been a follower of Miss Mustard Seed for years, so I was honored to hear her speak, and I also attended her workshop and got to play around with her line of milk paint, which was so fun! I had never used it before, but I think I am going to use it on a project in the future because I really liked it, and she was just so super sweet! 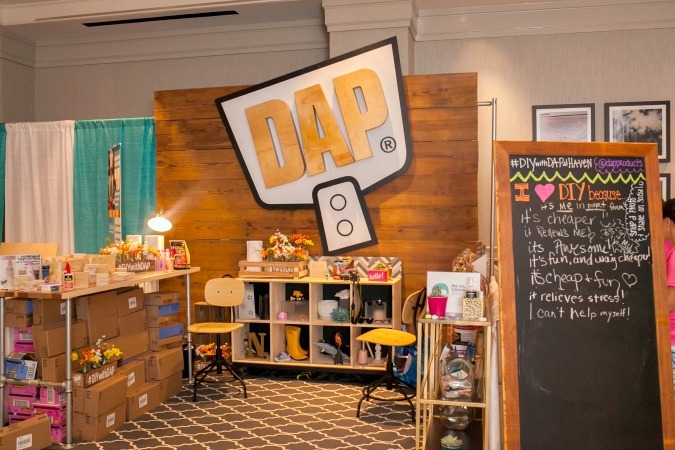 The conference is full of vendors and sponsors who love to work with bloggers. 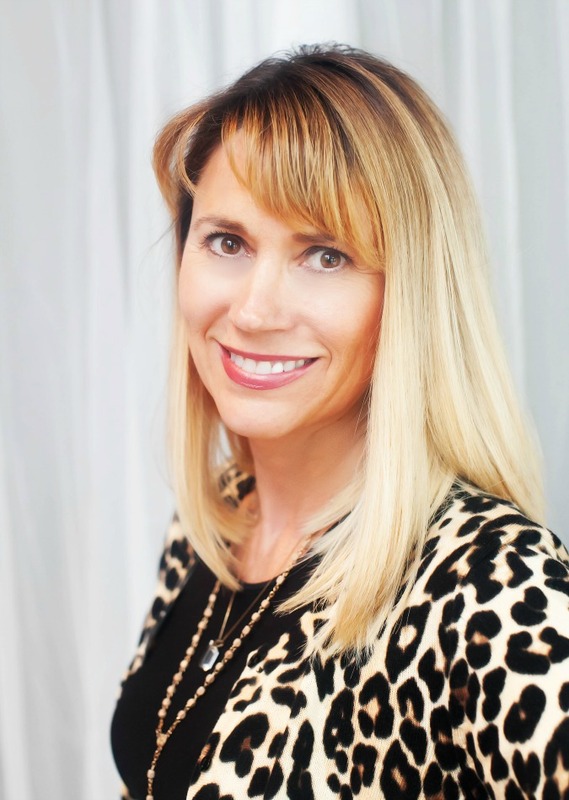 It is a great opportunity to meet and connect with so many awesome brands, and one of my goals for this year was to spend more time trying to connect with some brands that I would like to collaborate with. I still left feeling like I didn’t do enough of that, but I was able to make some great connections. 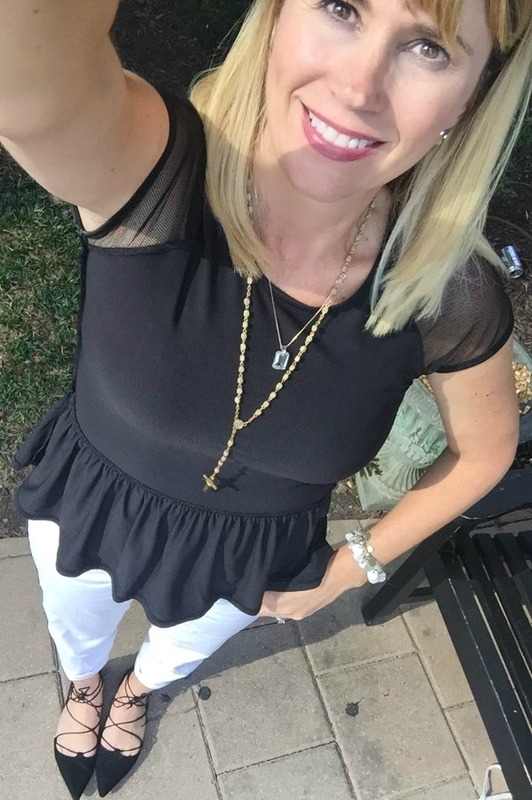 As many of you know, I also blog about fashion, so I was thrilled to connect with the ladies from Glamour Farms Boutique, and you are going to see me working with them to bring you some great fashion very soon, so that is very exciting for me! 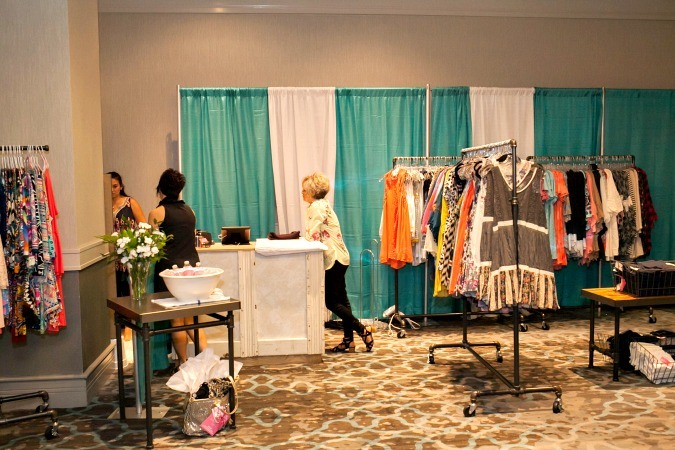 Below is a sample of what some of the fabulous vendor booths looked like. 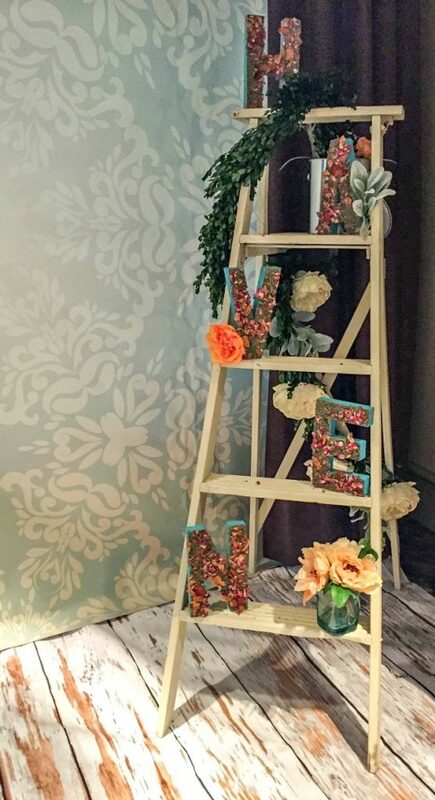 There were little seating areas and vignettes set up in many different areas of the hotel that were just so pretty! I consider myself to be a bit of an introvert, and I often get nervous in social situations where I don’t know many people. Going to Haven for the first time last year was a very nerve racking experience, but luckily I met some new friends, and even more this year, and a group of us have formed a tribe! The word tribe is something I heard a lot this year and last year at Haven. 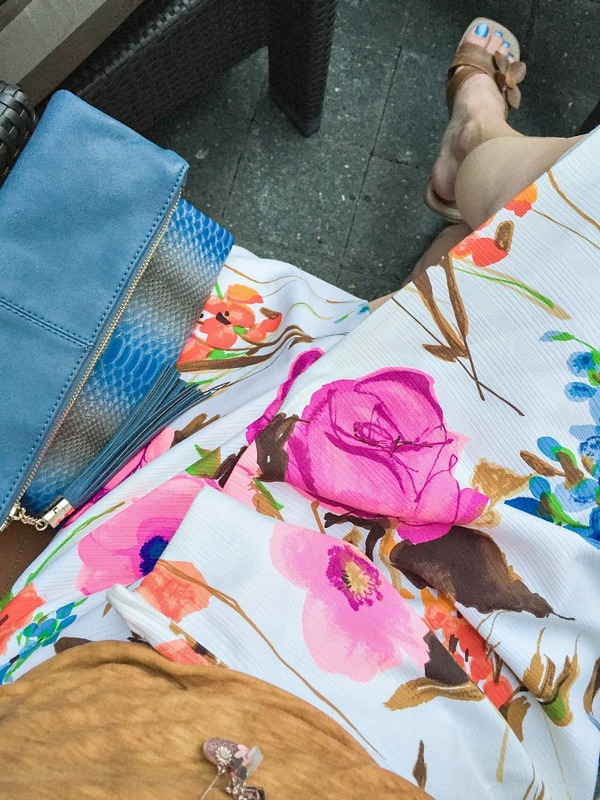 We are highly encouraged to find a tribe, or group of other bloggers and form a tight knit group to help each other promote, support, and grow our blogs. So probably the best thing that happened for me as a result of Haven this year is that I found my tribe! There is a group of 8 of us who are going to be supporting and helping each other, and that is truly such a blessing for me! The picture below is four of us from our tribe, and I wish I had gotten a picture to share of the whole group, but Haven is kind of crazy and sometimes I just forgot to pull out my phone and take pictures! 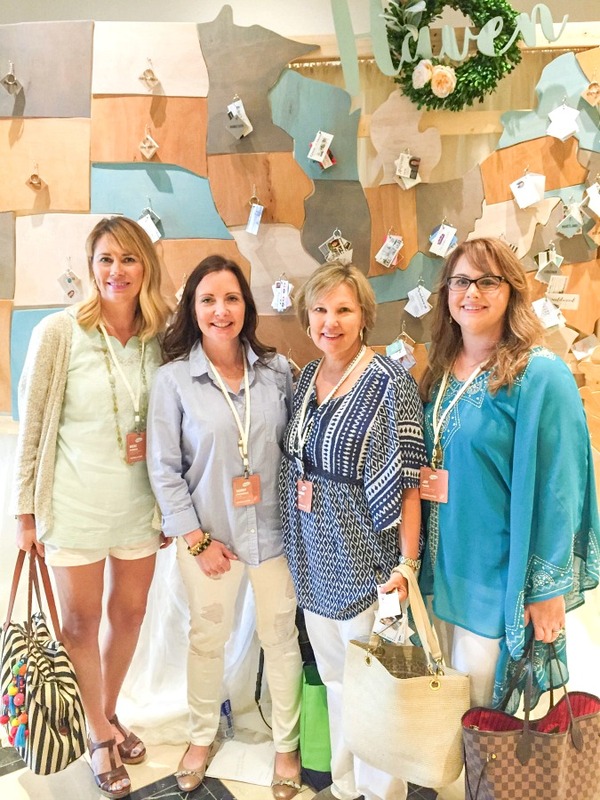 From left to right below is myself (duh), Tammy from Hey Fitzy, Sherry from Savvy Apron, and Joy from The Aspiring Home. On our first evening, we sat and chatted with a lovely young couple named Corey and Amanda from Love and Renovations, and they are a DIY couple. I predict that they are going to have much success in the blogging world, so stay tuned in to them! 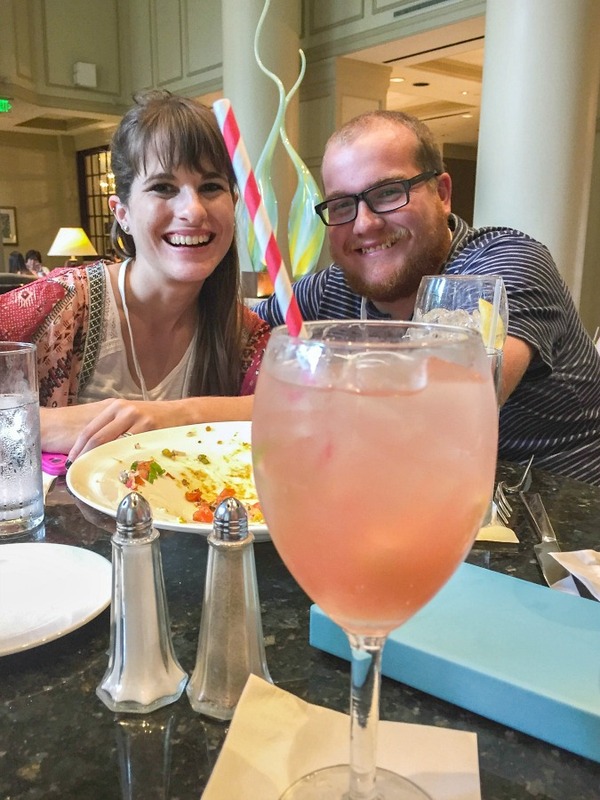 Some of you may know that my favorite blog in the history of ever is Young House Love, and I was so thrilled that I was able to meet the couple behind the blog, John and Sherry. It was one of my favorite moments from Haven, although they may have walked away thinking I was an idiot! I first ran into them in a hallway, and they were with Katie from the blog Bower Power, which is another favorite blog of mine. I did not expect this from myself, but when I saw John and Sherry I kind of became a different person. I could not help myself from gushing all over them and telling them how much I love their blog and have been so inspired by them. They were very sweet about it and they each hugged me and took the time to talk to me and ask me my name and the name of my blog, so it completely made my day! 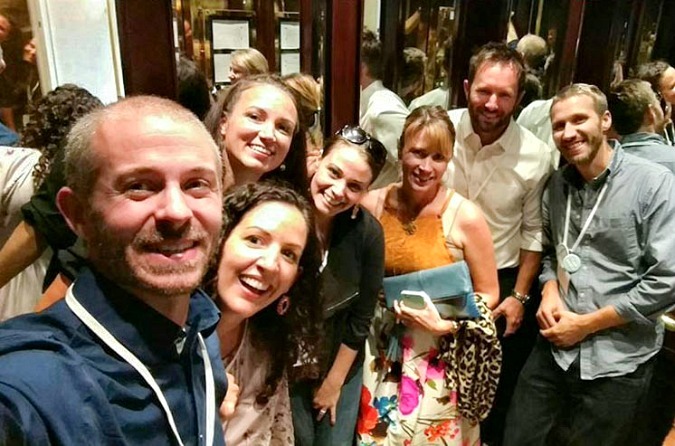 And then I was getting on the elevator on Saturday night to go to the Soiree that was planned for us, and I think I hit the jackpot when the doors opened because there stood three couples who have three of the most popular blogs in all of blogland! 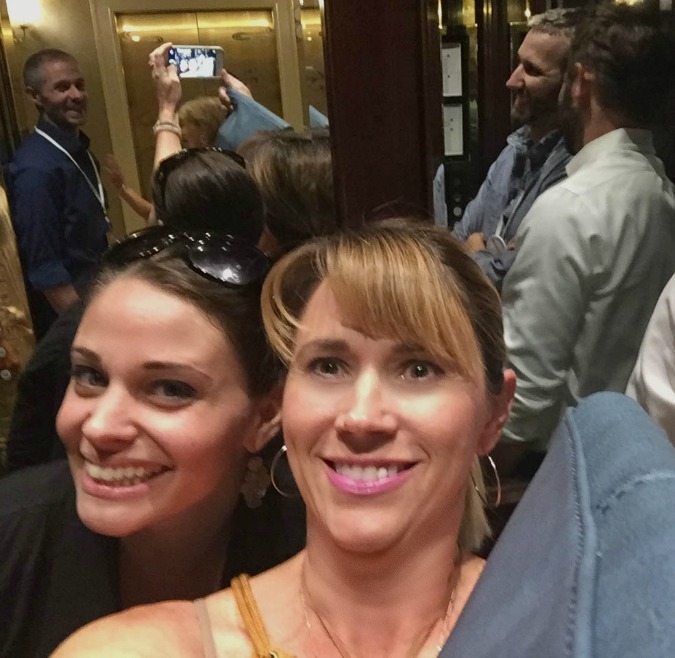 They were getting ready to take an elevator selfie, and they pulled me right in! Wow, is all I can say! Below you see John and Sherry from Young House Love, Jeremy and Katie from Bower Power, and Kelly and her husband from View Along the Way. I totally screen shotted this picture from View Along The Way’s Instagram, btw! So after the group picture I had the nerve to ask Sherry for a selfie with me, and she kindly obliged. Unfortunately when I went to look at the picture later, I realized I look like a complete idiot! Like seriously? I had one shot to take a picture with her, and I was so nervous about it that I didn’t even look to see what I actually looked like in the camera screen. Worst. Selfie. Ever! I attended some wonderful workshops and learned so much this year! I learned about SEO (search engine optimization), which is a collection of strategies, techniques, and tactics that can help increase the amount of visitors to a website. I have already started implementing some of the tips I took away, so I am hoping to start seeing results from it in my analytics! 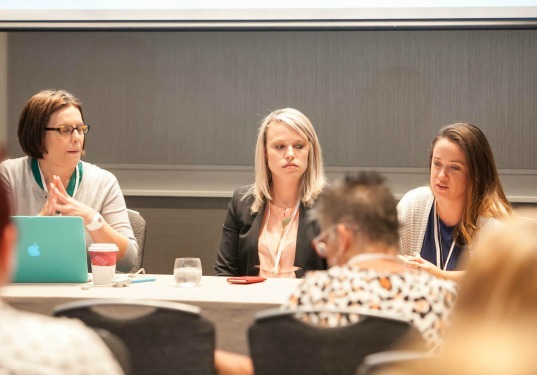 Another conference I attended was about harnessing the power of social media, and I learned so many things that I can do to help grow my blog through my social media, so I was very excited about that! One of the speakers at that workshop was Sarah from The Ugly Duckling House, and she has actually designed my blog for me twice, so I was thrilled to finally meet her in person. I even had an opportunity to hang out with her for a while on Saturday evening and in my mentor meetings, and it was great to find out that she is a really cool person, so that was definitely one of the highlights for me as well. You can see Sarah in the picture below on the far right. 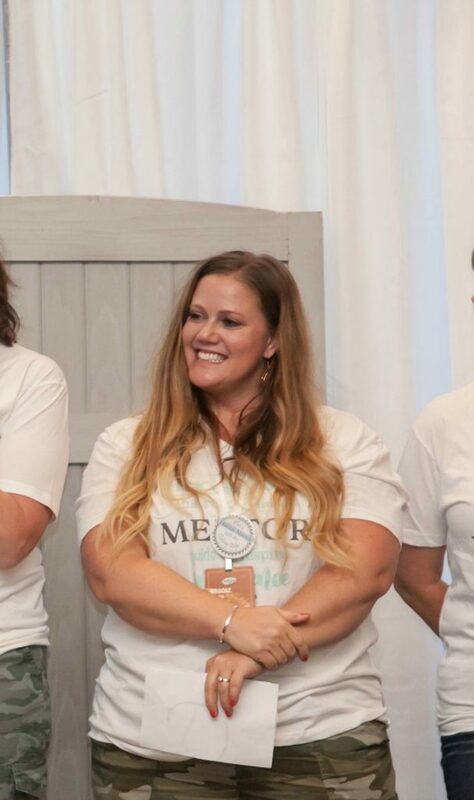 This year at Haven, we all got a mentor and it was by far my favorite thing about the conference, and I learned so much from just sitting around and talking to the other bloggers in my group! My mentor was Brook from All Things Thrifty, and she also taught one of the workshops I attended about SEO. Below are some pictures of the mentor’s revealing what group they would be mentoring, and then my mentor Brook. 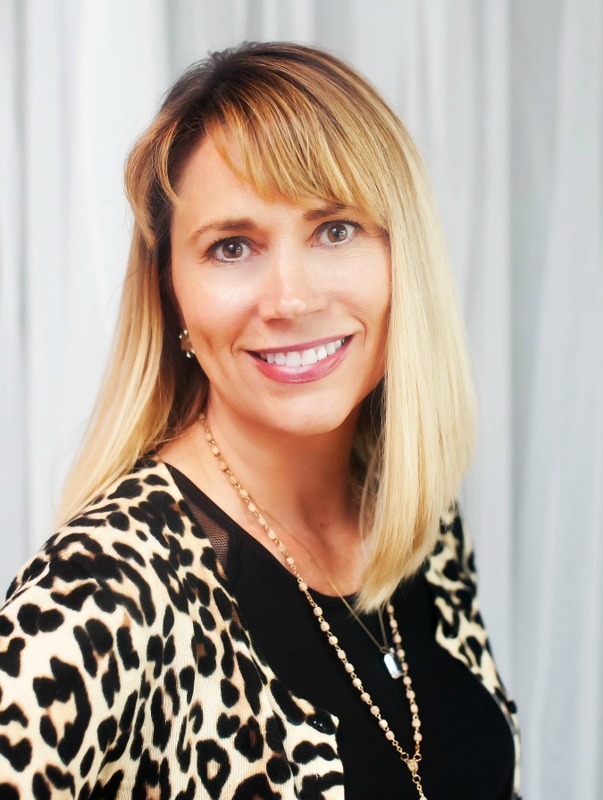 Brook’s blog is called All Things Thrifty, and it was a pleasure to get to know her and learn from her. The tips and advice I received during my mentor meetings was invaluable to me in my blogging journey. I attended a workshop on Lightroom, which is what I use to edit my photos, and I learned so much about how to use Lightroom. I had been shooting in the dark with Lightroom for months, but I finally feel like I am getting a handle on how to edit my photos better and more efficiently. I attended two workshops about photography, because I really want to work on making my blog pictures better. One of the workshops was a little over my head for my photography skill level, but the other, I learned a ton from! I can’t wait to start utilizing and practicing some of what I learned. Another very valuable workshop I attended was affiliate marketing for bloggers, and this was another class that was just amazing! I have been working with affiliates and affiliate links for a while now, but there is so much that I didn’t know, and I have already been implementing some of the the things I learned, so I hope that will help me to monetize my blog even more! I learned a ton in the workshop about working with brands too. I now feel like I have a strategy to help me start working with more brands. My favorite part of the whole conference came at the very end though. John and Sherry from Young House Love spoke at the closing ceremony, and it was just amazing to hear them speak! 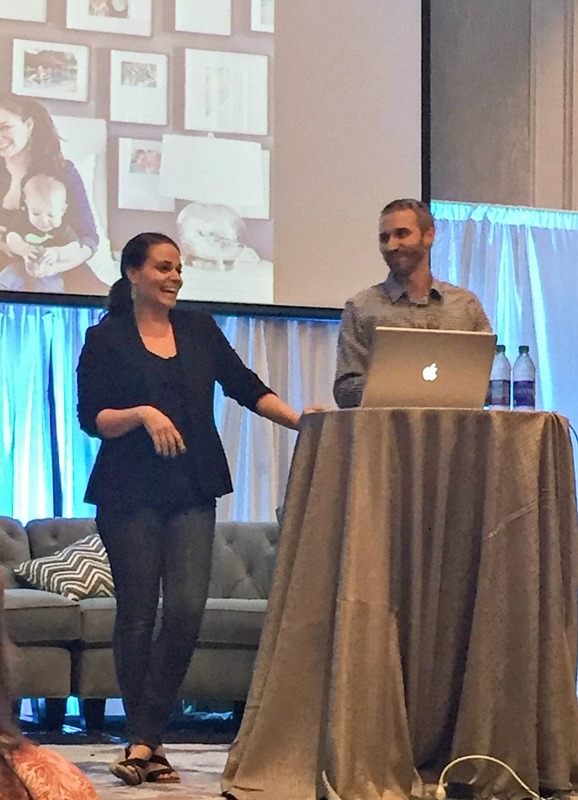 They talked about their experience quitting blogging for two years, and what they learned from it, and how they are moving forward now, and it was amazing and insightful, and all of the good things! They have also written two books that made the New York Times Best Seller’s list, so seeing them speak was amazing! The below picture is grainy because I was using my iPhone, but I still wanted to include it so you could see them. Kris from Flaunt Photography was there, and she took free head shots for anyone who wanted one, so I took advantage of the opportunity. Below are two of them, what do you think? I would love to know which picture you like better, because I think I am going to use one of them over in my sidebar and for social media. 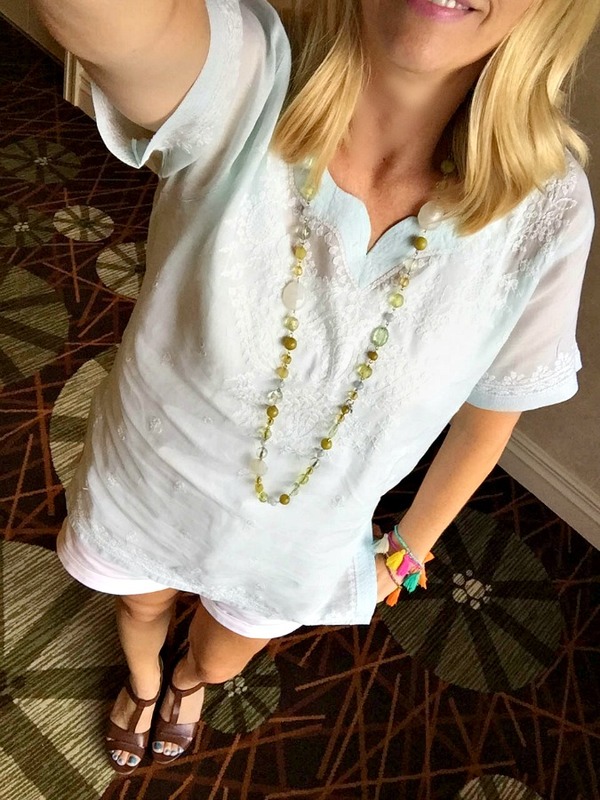 And of course, I can’t end this post without showing you guys some of the outfits I wore while at the conference. All in all, my second Haven Experience was just wonderful! It is so refreshing to be in a place full of people who share my passion for home decor, DIY and blogging. I am the only blogger I know around me in my every day life who blogs about the things I blog about, so being at Haven with like minded people kind of feels like home. These people are my people. They get me, they know my struggle, they understand my passion, and have three-four days to talk and interact with these people is such a valuable experience for me. 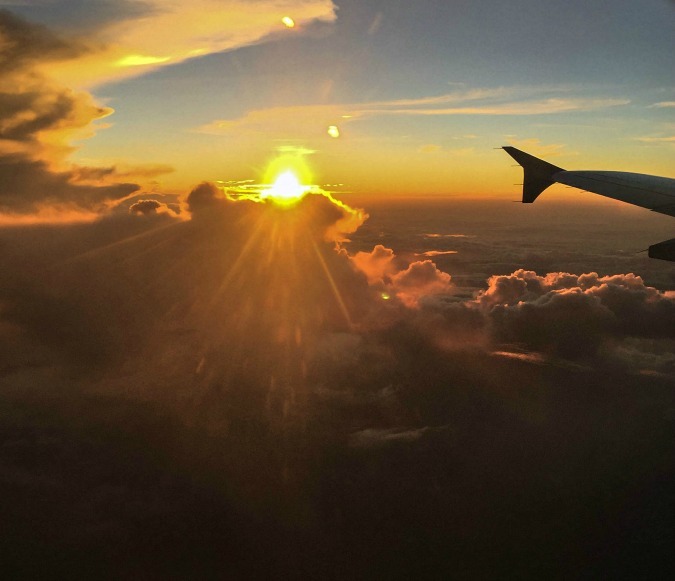 And on the flight home, I witnessed this beautiful sunset from above the clouds, and it was the perfect ending to a weekend that truly changed my life for the better. I hope you enjoyed reading about my experience at Haven, and if you ever have any questions about it, feel free to ask me! I hope you all have a wonderful weekend! We are having a party tonight to celebrate the fact that our Swedish Daughter is here for a visit, so I had better get cracking! You can Pin this Image! Nicki! This post was soooo helpful! I’m about to go to my first Haven conference and am already freaking out about what to wear and what it will be like. Thank you thank you thank you for sharing your experience and especially your outfits! <3 I'm not as stylin' as you, but you've given me a great head start! Thank you! Oh Wow! It is so fabulous to read that someone took a little inspiration from me writing about my experience! Thank you so much for taking the time to write to me. I will be at Haven again this year, so please, if you see me and recognize me, say hey!